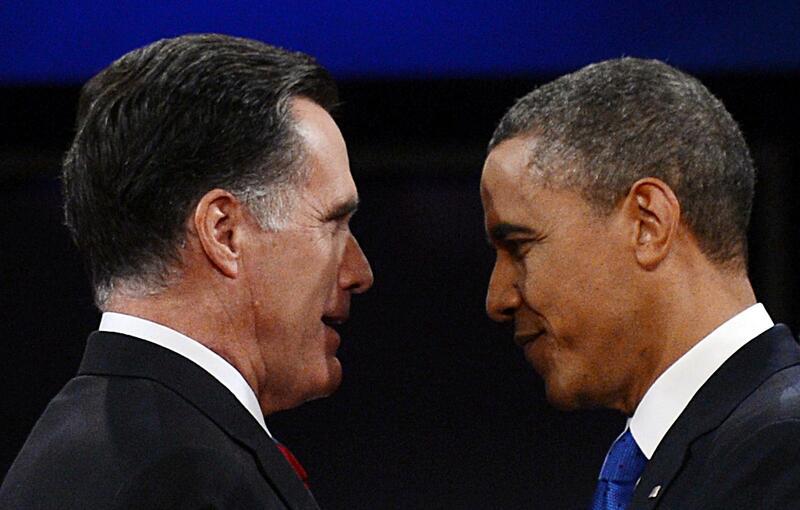 Why Obama got Russia wrong (and Romney got it right). President Obama greets Mitt Romney on Oct. 22, 2012, at the start of the third presidential debate, at Lynn University in Boca Raton, Fla. Romney turned out to be right on Russia, while Obama went for laughs. To peer into the conservative media and blogosphere as it covers Russa’s invasion of Crimea is to risk a fatal dose of schadenfreude. There are reports about how Sarah Palin totally called that Putin would invade Ukraine (she will be on Fox News tonight to remind us), about how Mitt Romney was unfairly mocked for calling Russia the greatest “geopolitical threat” to the United States, about Hillary Clinton’s “reset button” gaffe. Even the Liberal New Republic (tm) has admitted that Mitt Romney was right about the Russians and their ambitions. And he was. Why did Barack Obama blow it? Let’s revisit the final 2012 presidential debate, the moment Romney explained himself and the president went for the lulz. Here’s Obama. Russia I indicated is a geopolitical foe… and I said in the same – in the same paragraph I said, and Iran is the greatest national security threat we face. Russia does continue to battle us in the U.N. time and time again. I have clear eyes on this. I’m not going to wear rose-colored glasses when it comes to Russia, or Mr. Putin. And I’m certainly not going to say to him, I’ll give you more flexibility after the election. After the election, he’ll get more backbone. Romney was right. Why was Obama wrong? Because, I think, he was willfully blurring the distinction between “geopolitical” and other sorts of threats. He was playing to the cheap seats. Voters do not fear Russia, or particularly care about its movements in its sad, cold sphere of influence. They do care a lot about terrorism. And Obama would use any chance he had, in 2012, to remind voters that he was president when Osama Bin Laden was killed. So you see the politics—they reveal Obama as the player of a cheap trick. Of course al-Qaida isn’t a “geopolitical threat” to the United States. It’s a terrorist organization, untethered to states or geography. Obama himself (like George W. Bush before him) repeatedly claimed that the organization was on the run. How could al-Qaida be the greatest threat to America and a pathetic coalition of losers? It couldn’t. Obama was spinning, hopefully faster than Romney could un-spin. But I don’t want to spin for Obama. Romney really did maintain a more cynical long-run view of Russia than Obama did. Obama saw Russia as a declining power that he could do business with, as he did with the New START treaty. Romney, as he laid out in his pre-campaign book No Apology, saw Russia as a recovering power. Its “rediscovered ambition for superpower status,” he wrote, “is fueled by its massive energy reserves.” This wasn’t as sustainable as China’s free-enterprise empire strategy, but it was an empire strategy, and that was enough to get spooked about.